Now available in paperback with a new updated chapter, this timely book by three distinguished economists delivers an urgent message: Americans risk losing their high standard of living if the pro-growth policies of the last twenty-five years are reversed by a new president. Since the early 1980s, the United States has experienced a wave of prosperity almost unprecedented in history in terms of wealth creation, new jobs, and improved living standards for all. Under the leadership of Presidents Ronald Reagan and Bill Clinton, Americans changed the incentive structure on taxes, inflation, and regulation, and as a result the economy roared back to life after the anti-growth, high-inflation 1970s. Now, America is moving away from these growth policies and putting its prosperity at risk. 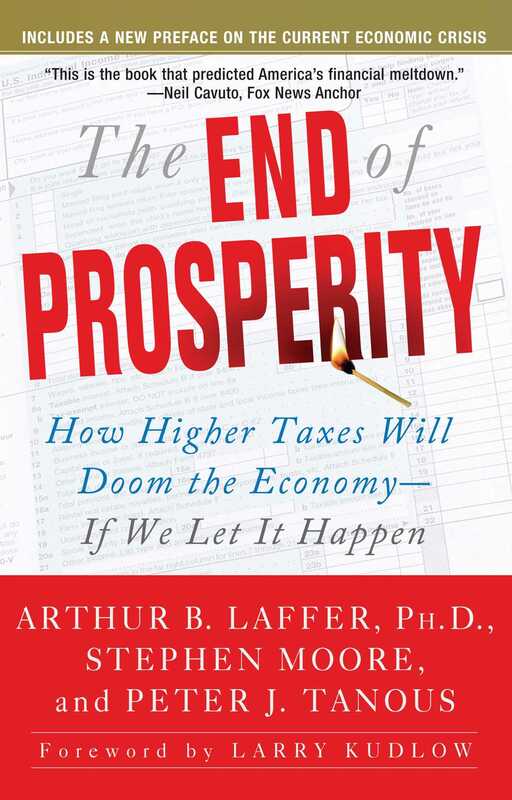 Laffer, Moore, and Tanous provide the factual information every American needs in order to understand exactly how we achieved the prosperity many people have come to take for granted, and explain how the policies of Democrats Barack Obama, Hillary Clinton, and Nancy Pelosi can cause America to lose its status as the world growth and job creation machine. This book is essential reading for all Americans who value our nation’s free enterprise system and want to know how to protect their own investments in the coming storm. Arthur B. Laffer, Ph.D. is the founder and chairman of Laffer Associates, an economic research and consulting firm. A member of President Reagan's Economic Policy Advisory Board for both of his two terms, he invented the Laffer Curve and triggered a world-wide tax-cutting movement in the 1980s. Dr. Laffer received a B.A. in economics from Yale University and received a MBA and Ph.D. in economics from Stanford University. Stephen Moore, an economist and policy analyst who founded and served as president of the Club for Growth from 1999 to 2004, is a member of the Editorial Board of The Wall Street Journal and a Senior Economics Writer at The Journal.